This page will be updated regularly. At the moment you will find an overview of the fight before it is tested for the first time this friday 13th of April. 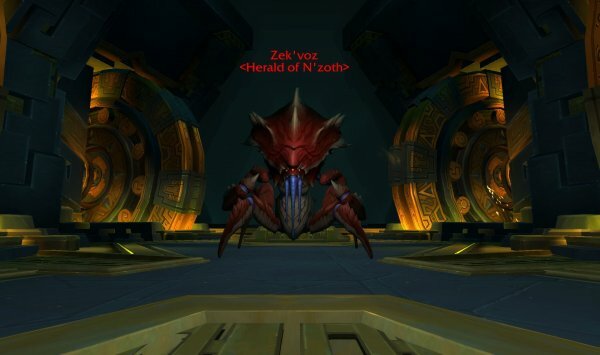 You will fight Zek´voz that will activate titan discs during the fight. 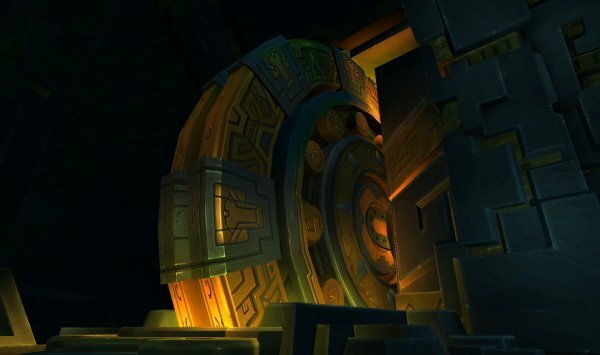 These titan discs will spawn projections of old gods and perform phase specific abilities on raid. The fight consists of 3 phases in which players will fight the boss and at the same time be challenged by the phase specific events. These boss abilities occurs during the entire fight. During the entire fight the boss will attack tank (s) and do 2 abilities that puts stacking debuffs, on the main tank. One reduces healing taken and the other increase physical damage taken. Main tank takes 2 debuffs of Void Lash and 1 debuff of Shatter, then tank swap. Make sure that only main tank is in front of boss, no one else. Also, during the entire fight, when boss reaches 100 energy, it will spawn purple circles. Getting hit by it does deadly damage to players caught in it. This also does low raid damage. The tactic is to stand in the membrane that does not contain dark shadow. Make sure you move fast and help others if needed with class abilities. Healers: Make sure that you heal tanks during this phase because they are being attacked by boss at the same time. One of the discs will spark on random players with 5 pulses. Each pulse does low damage but becomes a lot when all 5 pulses have hit. In the last phase, these titan sparks will do much more damage. The tactic is mostly for healers to heal up fast and for players to use any minor defensivs. At 90% health, boss will activate a disc that summons a projection of C´thun. Boss will also spawn several Qiraji warrior adds. Remember that you will still encouter all boss abilities in all phases. Several adds will spawn from the north side of the room. They move fast and will fixate players. When they reach a player, they do damage and also places a debuff that slows the player. If an add hits the player, the add will swap to another random player and fixate. These adds will always spawn on the upper side of the platform. The tactic is to stun and slow the adds directly when they spawn and AoE nuke them down. If possible, have a DK that pulls them all together and have players with mass stun to perform their stun ability in a rotation so that the adds will be stunned as long as possible. A projection of C´thun will spawn (cannot be attacked). This projection will target players and shoot eye beams on them. This eye beam does moderate damage and spreads to nearby players and the dmg increase, the more players it hits. The tactic is to make sure that you are spread atleast 10 yards from any other player when eye beam spawns otherwise you will take to high and even deadly dmg. At 70% health, the discs that spawned projections of C´thun will be destroyed. 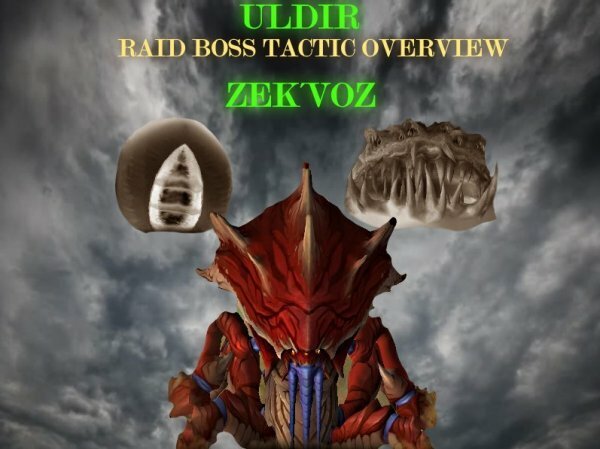 The boss will also spawn Anub´ar Voidweaver adds. The Anub´ar Voidweaver add will stand still and cast Bolts on random players that does shadow damage that is interruptible. THese adds will always spawn 3 per per time, in the center of the platform. The tactic is to nuke these adds asap and interrupt them as much as possible (interupt at the end of the cast because they will cast directly after again). Tank boss on one of the adds, and nuke the add closest to boss. In this way, boss gets cleave dmg. 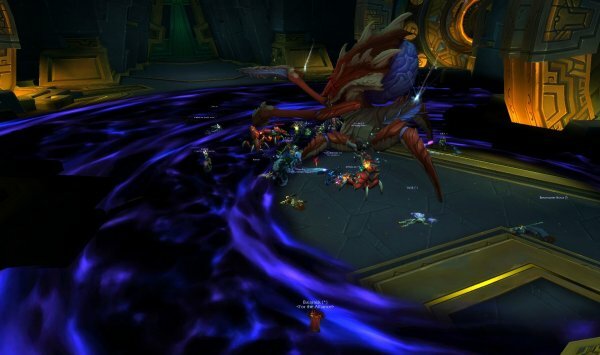 Yogg-Saron will put debuff on random players. When that debuff expires, dark cloud will spawn from that player. This add will self-destruct when reaching 100 energy or when killed and that will do raid dmg. If it self-destruct, it will do deadly dmg to the raid. The tact is to run to side of the platform, away from the raid. RUN AS FAR TO THE SIDE AS POSSIBLE. If you touch a cloud, make sure to kill that add fast before it reaches 100 energy. Now all the titan discs are destroyed and the Titan Spark that did dmg to random players will now be increased. The boss will spawn orb(s) that will fall to ground(?) and do raid dmg. 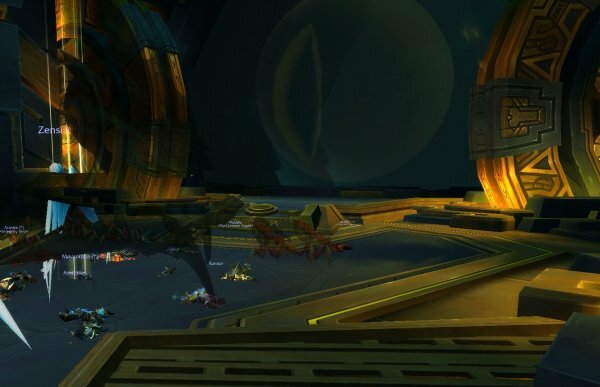 When the orb is on the ground it will even do increased damage to the entire raid. Intercepting this orb will give that player a buff (Will of the Corruptor). This buff will increase health, healing and damage. But when the buff expires, that player will be mind controlled and cast Entropic Blasts that fears random players. This is interruptible. This seems to be a race against time. You will take loads of damage and more and more players will be mind controlled. The best would probably be to let the dps intercepting the orbs and use personal dps cooldowns when they have the buff. You can also balance the amount of dps getting buff-mind controlled-killed with a healer so not to many dps dies. Pop bloodlust/Timewarp/Heroism on this phase. Maybe after first player gets the buff.